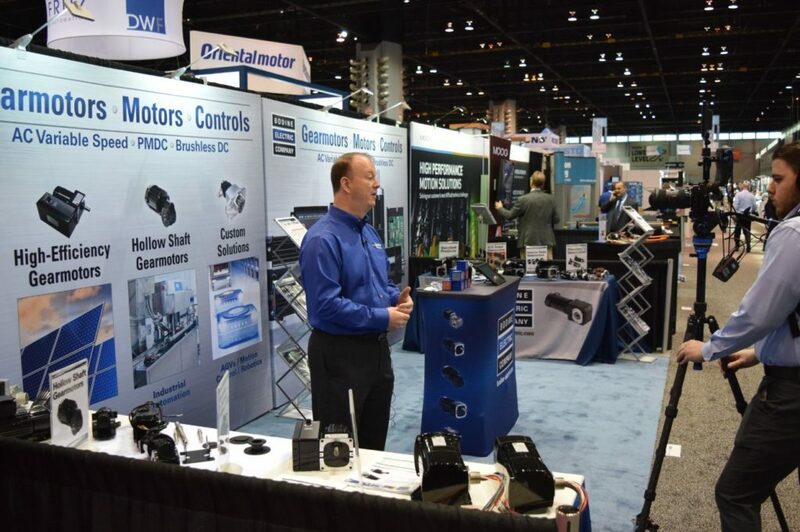 We are excited to be exhibiting at the Automate show again this year. 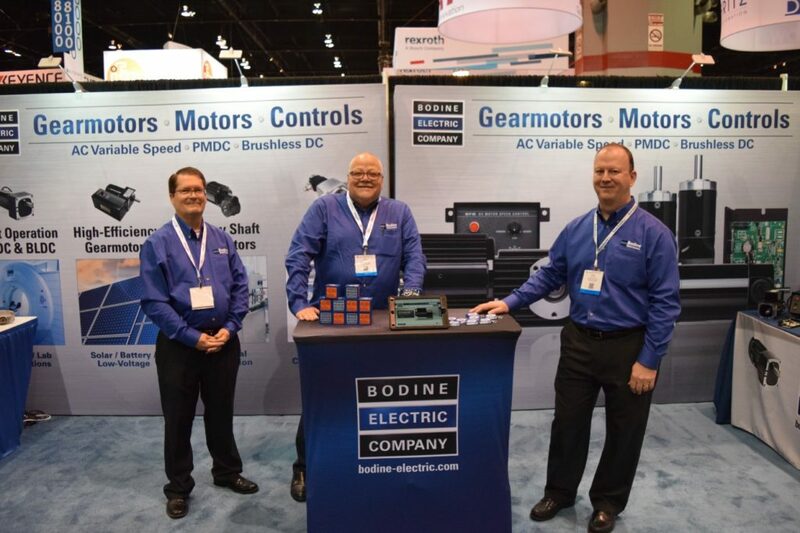 Stop by our booth to learn what’s new at Bodine Electric Company. We feature a new family of (80) SCR-Rated PMDC gearmotors (90V or 180VDC, 2500 RPM armature speed). (40) new BLDC or PMDC planetary gearmotors. And a sneak preview of our newly developed Class I/Div.1 Explosion Proof BLDC and Inverter Duty Gearmotors for Hazardous Locations, e.g. Oil & Gas production. Our knowledgeable sales and marketing team is looking forward to your visit! 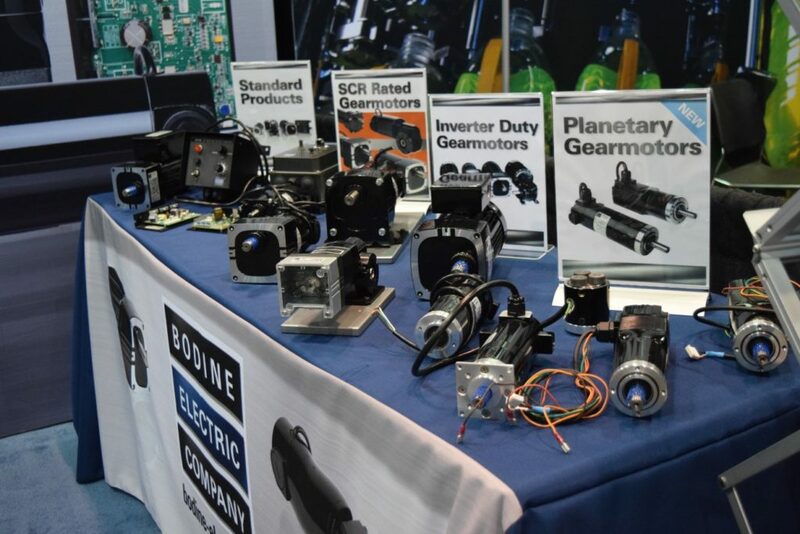 We offer over 1,300 standard/stock products and thousands of customer gearmotor designs. We have been supplying Class I/Div.2 gearmotors and motors to the Oil & Gas industry for many years. 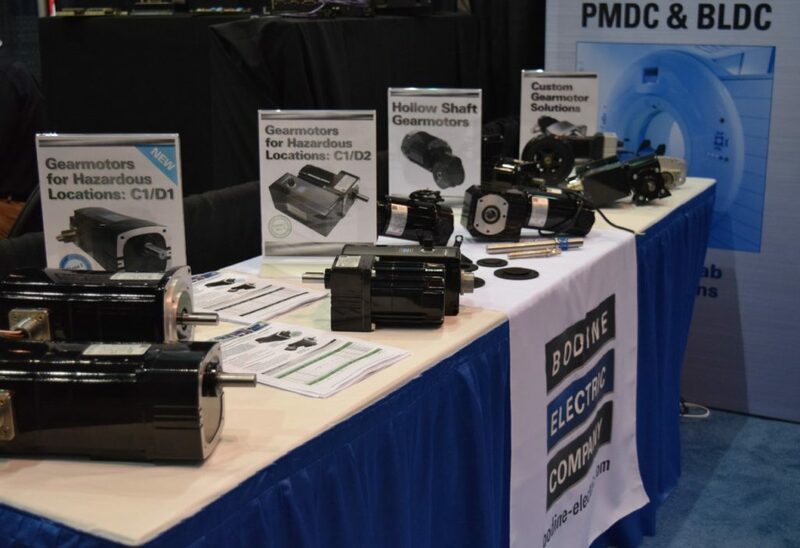 Coming later this year, a new family of inverter duty and BLDC Explosion Proof, Class I/Div.1 (Groups C and D) motors and gearmotors. Our V.P. of Sales & Marketing interviewed by DesignWorld magazine. 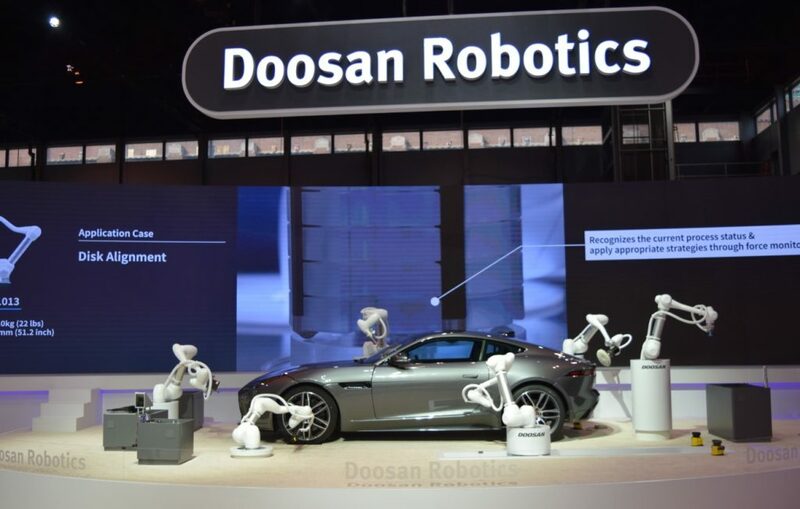 Shout out to Doosan for coolest display at the Automate Show 2019. 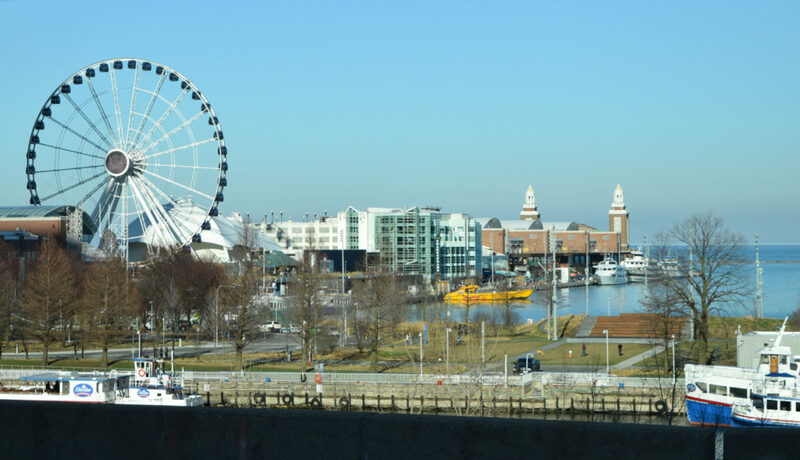 On our way to McCormick Place, stuck in traffic on Lake Shore Drive: Navy Pier. 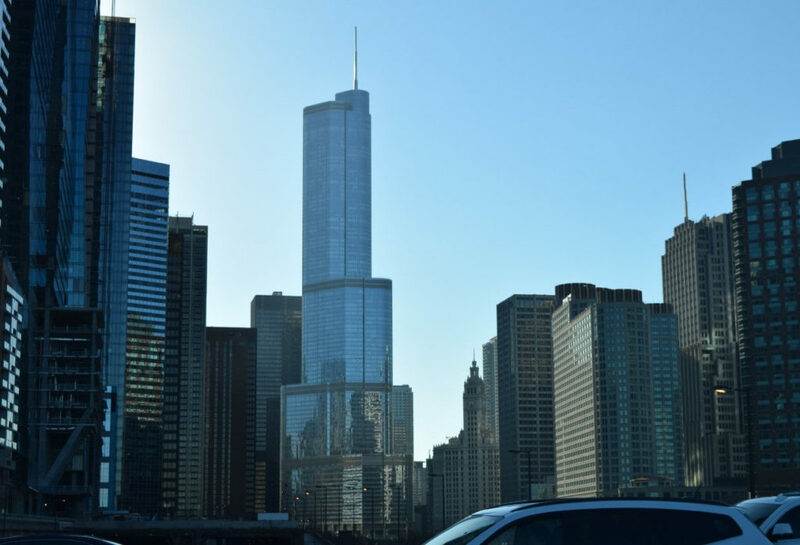 And this is our view West, looking into the city from Lake Shore Drive.